(Newser) – "If only." Those are the two words Britain's top forensic pathologist is now saying about the 1997 car crash that claimed Princess Diana's life. That's because Dr. Richard Shepherd, who the Daily Beast notes has performed more than 23,000 post-mortems, lent his expertise to the British police for an inquiry into the princess' death and is now coming forward with an interesting claim: that the injury Diana suffered in the accident was actually a minor one, and that the only reason it killed her was that it happened "in the wrong place." 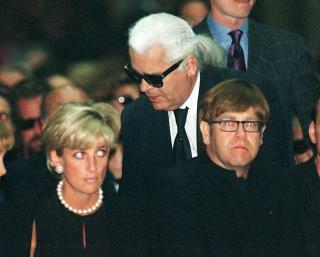 Shepherd's assessment in his book, Unnatural Causes, which has been excerpted by the Daily Mail, notes that Diana suffered a "few broken bones" in the Paris collision, but it was a "tiny tear" in one of her veins that proved fatal—a "specific injury ... so rare that in my entire career I don't believe I've seen another." If only the French ambulance took her to the hospital immediately, instead of being required to do a full and incompetent medical appraisal on screen. If only my daughter hadn't been a passenger in an auto accident and suffered a head injury some years back. If she hadn't had the TBI and been saved by a skilled neurosurgeon who happened to be on duty that night, in the nearby hospital and who could save her life and brain, maybe she wouldn't have gone to the rehab facility where she realized that learning had more value than goofing off. She wouldn't have been taught special techniques on how to study effectively even with injury caused memory lapses. She probably wouldn't have worked so hard to get well, to bring up her mediocre grades and possibly , she might not have become the good student who was eventually admitted to a top university where she graduated with honors. I don't think I need to go on. Would, if, maybe, might, possibly, ought, could ... words of speculation only. And kind of useless. What matters is what actually did happen. Life or death and the path that opens or closes, is often just the result of blind luck. No point in speculating on what might have been had Di lived. She died. There is nothing else to say.